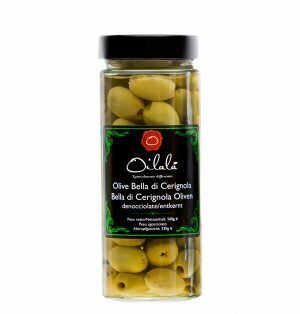 The “Bella di Cerignola” olives are the typical one of our Apulian tradition, big and fleshy, sweet with a pleasant fruity taste. Inside each jar you will find the freshness and intensity of each ingredient. 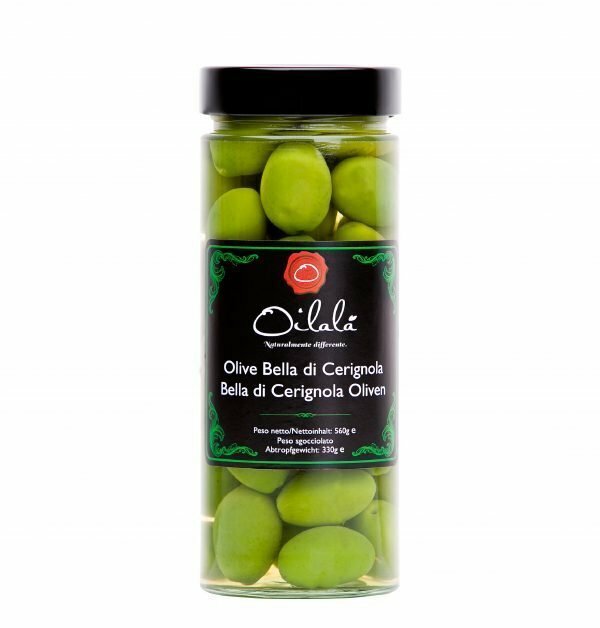 These olives as all our products are prepared without the use of additives, preservatives or chemicals aroma. The brine inside the jar is just water and sea salt. 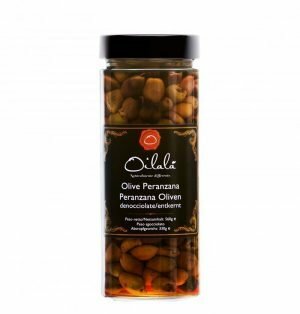 Our olives do not need any chemical agent because they are handpicked at the right ripeness to not get any bruises or bumps, which are signed of oxidation and bad harvest. Ingredients: Olives 66%, water, sea salt. Ideal as: Cocktail olives or as aperitif.